Goa is advertised as a land of fun, frolic and feni for the sake of tourism: sunsets on beaches and coconut trees are the superficial portrayal of the land. The Salt of the Earth bares Goa in its true form without the trappings of a Portuguese influenced Westernised culture. This book of short stories translated from Konkani brings us tales of the core of Goan culture and narratives of feminist ideology. The first person to be awarded a doctorate in Konkani from Goa University, author of The Salt of the Earth Jayanti Naik has a Sahitya Akademi Award to her credit. Besides short stories her oeuvre covers a range of genres including poetry, drama and children’s literature. Since her first book of short stories called Garjan (The Roar), she has written over 32 books, 16 of which are folklore based. Her passion for preserving Goan folklore also distinguishes her as folklore researcher at the Goa Konkani Akademi. There is not a story in the book that does not relate to suffering, and it moves along two threads, the trials of being a woman in a patriarchal society and the woes of the lower caste individuals in Goa. In some stories the reader finds the two themes intertwined, as in the story Biyantul: A Cinderella Story. There is an air of the Greek tragedy about these stories in their imitation of life, providing a means of catharsis to the reader. Growing up in a village, one can identify, personally or through the recollections of others, with the tales told therein. During her upbringing in rural Quepem, a New Conquest region that remained outside the considerable Portuguese influence on the Old Conquest regions, Jayanti experienced the realities narrated first-hand. The ominous caste system rules in villages and dictates who one should marry, who has the first say in village issues and so on. Jayanti does not always have a plot that progresses on the basis of tangible caste struggles, but the shadow of the system appears in almost all the stories. The fate of women finding their way in a man’s world is ably displayed in stories like An Account of Her Life, Ramaa and Uma and the Human Sacrifice. Jayanti is not afraid of treading paths of homosexuality, women making their own sexual decisions and taking control of their lives, fighting the quintessential roles played by women in Goan society. An Account of Her Life presents us with a grey area where we are not called to make a judgement (though the narrator responds with typical homophobia) about a woman who has inspired women to go beyond societal strictures but lives within the prison of her homosexuality. It makes us ponder the question of whether sexual abuse would be prevented to a large extent by the social acceptance of humans as sexual beings. Uma and the Human Sacrifice juxtaposes one woman who has taken the reins of her life in her own hands against another, who despite her potential to achieve greatness has succumbed to patriarchal pressures to live a mundane existence. The story is injected with a slice of the folklore that the author propagates so ardently. 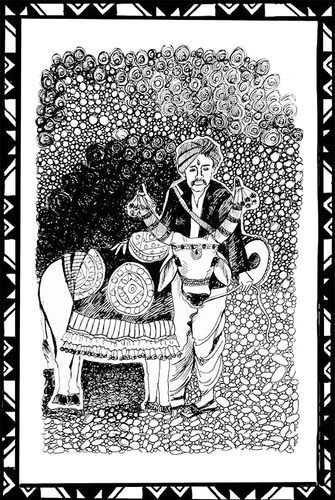 Jayanti writes of the transformation of customs and traditions brought on by the younger generation and by unforeseeable circumstances as seen in Naman: The Invocations and Basvo: The Nandi Bull. As a story, Life Sentence is markedly set apart in its monologue form. The life story of a woman is revealed from her days of prominence to her dereliction. It is gripping in its pace and not once does it deter the reader from continuing with anticipation as to the outcome. The Salt of the Earth has been translated by Augusto Pinto from Konkani to English, a daunting task for most, which he has accomplished to a degree that has extensively maintained the authenticity of the original language. Some Konkani words have been retained appropriately to this effect. 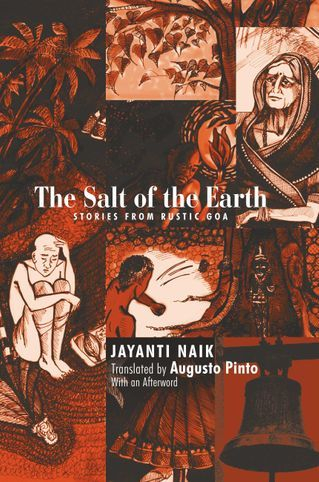 The stories in The Salt of the Earth make an excellent read, besides providing ample opportunity to scrutinise the true native Goan and offering scope for literary analysis. *The Salt of the Earth, published by Goa, 1556, is available at Rs 200. **The top left picture depicts the book cover and the lower right picture is an illustration to Basvo: The Nandi Bull. Cover design and illustration by Bina Nayak. Pictures are courtesy of Goa, 1556.